In 2000, director Bryan Singer launched the X-Men franchise (on a shoestring budget by today’s superhero movie standards), helping to pave the way for future comic book films. While the director’s first installment doesn’t completely hold up, especially in the visual effects department, it was a good example of how less can be more; the characters were more thrilling than the action. 16 years later, Singer’s third sequel “X-Men: Apocalypse” comes from the “more is more” school of thought, and though it’s his biggest X-Men film to date, it’s also his most disappointing. The fifth sequel in the series takes place ten years after the events of “X-Men: Days of Future Past” (although none of the characters have aged a day). Long before any of that happened, mutants ruled the world. En Sabah Nur, who sees himself as a God, is on his last days. As he prepares to take over one of his devoted follower’s (Oscar Isaac) bodies, he’s betrayed by the humans. His four (mutant) horseman do everything they can to protect him from the attack, and as a result, his body is left safely guarded underneath a demolished pyramid. In 1983, En Sabah Nur awakens and is horrified by what the humans have done with his world. 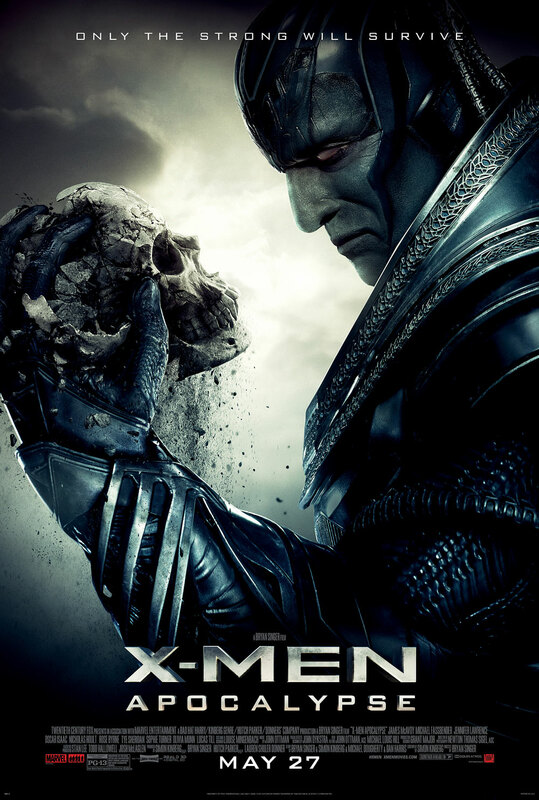 The powerful mutant believes the planet must be cleansed, and he recruits four new horsemen – Magneto (Michael Fassbender), Psylocke (Olivia Munn), Storm (Alexandra Shipp) and Angel (Ben Hardy) – to assist him in building a new world. Only Charles Xavier (James McAvoy) and his young mutant students, including Cyclops (Tye Sheridan) and Jean Grey (Sophie Turner), can prevent En Sabah Nur and the four horsemen from destroying the planet. 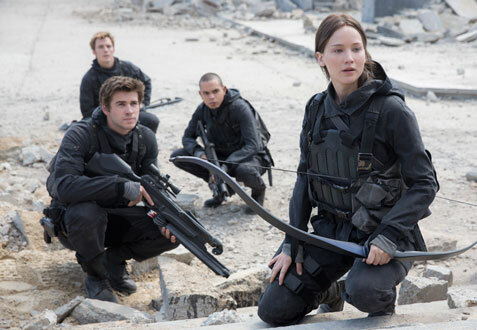 Amid the glut of YA book-to-film adaptations, “The Hunger Games” has always stood head and toe above the competition – a movie franchise that actually improved upon its source material by treating the audience with respect. That’s what makes “Mockingjay: Part 2” such a hard pill to swallow, because while it seemed like the stage was set for an exciting finale after the tedious third installment, it’s yet another incredibly slow burn that only highlights just how boring the final book in Suzanne Collins’ trilogy is. If anything good comes out of “Mockingjay: Part 2,” it’s that it will finally convince studios to stop dragging out these stories for the sake of their own greed. The film picks up almost immediately after the events of the last movie. As Katniss (Jennifer Lawrence) recovers from the brutal attack by Peeta (Josh Hutcherson), rebel leader President Coin (Julianne Moore) plots her assault on the Capitol now that all 12 districts have been united under one cause. Katniss wants to go fight on the frontlines, but when Coin refuses because she’s too valuable to the rebellion, she sneaks into the Capitol on her own to assassinate President Snow (Donald Sutherland). Coin and her right-hand man, Plutarch (Philip Seymour Hoffman), decide to use Katniss’ defiance to their advantage by assigning her to a specialized military unit – which also includes Gale (Liam Hemsworth) and a mentally unstable Peeta – to shoot more propaganda videos on the war-town streets of the city. With Capitol soldiers and deadly booby traps awaiting them at every turn, Katniss and company slowly make their way to Snow’s mansion. But as is usually the case with war, casualties are inevitable, and that’s something Katniss has difficulty accepting. For a franchise that’s always relied on deliberately paced storytelling that gradually builds towards each film’s climax, “Mockingjay: Part 2” never really gets going. 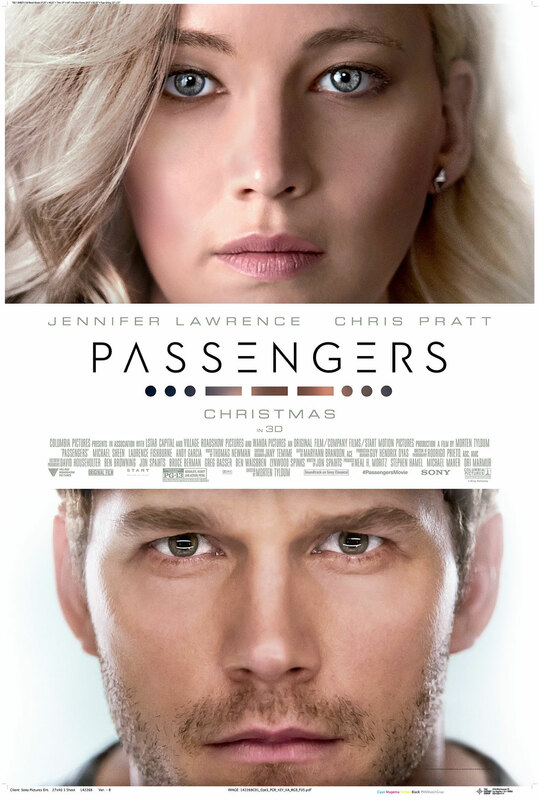 It hits all the major moments (including the countless deaths) within Collins’ grim novel, but there’s very little emotion to it, as if director Francis Lawrence is just ticking off boxes as he goes along. There are a couple of good action sequences once Katniss arrives in the Capitol, but while the story tries to replicate the feeling of being inside the arena with the addition of booby traps (called “pods”), it doesn’t provide the same thrill. In fact, it’s actually quite repetitive, as the second act is largely comprised of Katniss’ unit scanning for pods, safely activating said pods and resting for the night. Wash, rinse, repeat. Further compounding the lack of action is the monotony of the dialogue scenes, which dwell on the same issues (the love triangle, Peeta’s condition, Coin’s true intentions) over and over again. 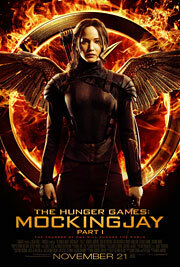 Upset over Lionsgate’s decision to release “The Hunger Games: Mockingjay” as two films instead of one? Blame Harry Potter. That was the first movie franchise based on a popular book series to split its last installment into the dreaded two-part finale. But while that decision appeared to be made only partly due to studio greed (this was Harry Potter, after all, and it was an event meant to be celebrated and savored), every successful YA book-to-film adaptation since has taken it upon itself to use a similar strategy for no other reason than to squeeze more money out of moviegoers. The “Hunger Games” trilogy (except that it’s no longer a trilogy at all) is the latest series to go this route, and quite predictably, it’s resulted in a “Part 1” that’s almost completely void of excitement, proving once again why this model is never a good idea. 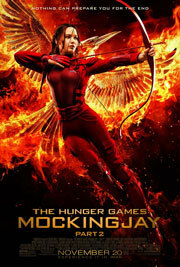 After being rescued from the Quarter Quell by a secret resistance group headed by former Head Gamemaker Plutarch Heavensbee (Philip Seymour Hoffman), Katniss (Jennifer Lawrence) is transported to District 13 along with her fellow Tributes, Finnick (Sam Claflin) and Beetee (Jeffrey Wright), and the survivors of District 12. It seems that Katniss’ actions in the last Hunger Games have stoked the flames of rebellion throughout Panem, and District 13 President Alma Coin (Julianne Moore) intends to use her as the figurehead for the revolution. Katniss agrees on a few conditions – namely, that they rescue Peeta (Josh Hutcherson), who’s being tortured and used by the Capitol as the voice against the resistance, as soon as possible – and begins filming a series of propaganda videos intended to recruit more soldiers for the war effort. One of the biggest problems you typically run into with two-part finales like “Mockingjay” is that the filmmakers are no longer forced to think economically in terms of what material is essential to telling the story. Though it made sense to split up “Harry Potter and the Deathly Hallows” due to the sheer size of J.K. Rowling’s book, “Mockingjay” doesn’t have that issue, especially when “Catching Fire” (which is the exact same length in book form) was adapted just fine into one movie. Add to that the fact that “Mockingjay” is hands-down the weakest entry in the series, and it was always going to be an uphill battle for director Francis Lawrence and writers Danny Strong and Peter Craig. There are some really powerful emotional beats littered throughout, but it often feels like Lawrence is just twiddling his thumbs in fear of getting too far ahead, with most of the film spent setting up the next installment. It’s a necessary slog in order to get to the good stuff (and one that fans of the Harry Potter and “Twilight” series will be all too familiar with), but it’s a slog all the same.